We help travel professionals to improve and grow their business. One Tourismo is a new dynamic company in the travel technology field. The company was established in 2016 as a result of successful cooperation between experienced travel industry professionals and talented software engineers. 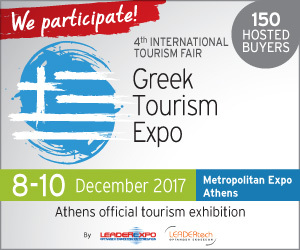 We specialize in travel technology creation, travel website design and development, digital marketing and travel business consulting.Our company's central office is based in Athens, but the nature of our business and current communication technologies empower us to serve clients worldwide. We use the leading edge technology to provide innovative solutions for travel agencies, tour operators, travel wholesalers, online travel agents and destination management companies. Our mission is to help travel professionals improve and grow their business by offering tailor-made technology that empowers them to streamline their business operations, expand their sales reach and optimize the experience of their customers. Our cutting edge technology connects multiple travel inventory suppliers and travel buyers in one place allowing for an easy product and rate comparison and informed booking choice. Our tailor-made online reservation system offers professional user interface and optimized booking experience on all devices. Our sophisticated back-end system enables in depth partner commercial policy management and strategic partner and customer matching while our detailed reporting system provides extended business intelligence. All our technology is based on newest Multi XML infrastructure featuring easy integration into our clients websites and connectivity with multiple other back-end systems. For travel agencies, we offer a complete all in one solution required to transform their business from offline to online, including a fully customizable online reservation system, interactive, engaging, mobile responsive travel website development, easy to use Content Management System and well planned business promotion through a variety of digital marketing channels. For travel wholesalers and travel consolidators, we offer an effective many to many online distribution platform enabling them to present their product to multiple travel buyers and to sell both their own and third party content to multiple customers and a sophisticated back-end system that facilitates their business operations by streamlining the complicated process of contract and commercial policy management. Each client is different and so are their needs. Therefore we do not offer you a “one fits all” package charging you for a vast variety of features you will never need. Once you contact us, we will organize a meeting with you, discuss your business strategy and your goals, evaluate your business requirements and offer you a tailored made solution as unique as your needs are. Be Unique. Be Different. We offer tailor-made functionality, services and design. Comprehensive and intuitive Admin Panel. INTERESTED IN OUR TECHNOLOGY? NEED MORE INFORMATION?